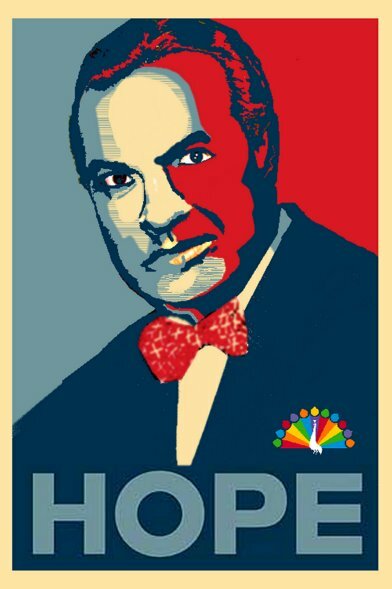 In honor of the big day tomorrow, here’s the image that entered my mind the first time I laid eyes on the Obama “Hope” poster. Sorry. I had to do it. At least I waited until after the election. This one won’t be going up in the Monday Morning Art Store, but you can click on it to see a larger image. I wouldn’t understand why, but you can if you want to. I don’t know why you would put a picture of Winston Churchill on an Obama parody image, but I applaud your… characteristic… of some kind.